This is more of a technical issue, but very often the Hall Effect Ebike Throttle can break and it's good to know how to replace the broken sensor by knowing a little about them. The default voltage for these sensors is actually half the supply voltage. The throttle then will have opposite facing polarity magnets on either side as the thing turns so that on the extremes the voltage varies from high to low. Notice that the voltage never drops below 1 volt or go above 4 volts. By comparison the typical potentiometer will vary the voltage from 0 volt to 5 volts. You can buy these sensors as a batch of ten for 99 cents and save money on replacement throttles. Any slight voltage surge when connecting the battery can potentially burn out one of these sensors and my experience is that they they do break fairly often. Try a google search using "ss49e ebike". Remember that 19 phase motor idea? As a motor the electronics would be excessively complex. So I was looking at a bunch of Wind Power Generator youtube videos and realized that with a generator there is far less to worry about as far as control compared with a brushless motor. In fact, all you need is to wire it so that each phase is part of a massive center tap and you can then use simple diodes to drive the AC to DC rectification. 19 phases would mean 19 diodes... and that's it. A 10 kW permanent magnet electric generator has been built and tested for use with a high TSR, 5 m blade diameter wind turbine. The system was configured for 15 phase, 15 coils and 16 poles. Each coil is individually rectified to dc, reducing cogging and allowing better control over the output voltage. Total cost of the generator was AU$873 and was constructed with typical home-workshop tools. This idea inverts the logic. Rather than spin a disk you "spin the water" or more accurately a water solution with high electrical conductivity. You now have a "pump". Water pressure could then drive a hydraulic system that actually drove the bicycle like a motor. Friction becomes water friction as there are no moving parts. This is an idea that's really nice because it's relatively easy. You can buy an Adult Tricycle for $300 at Walmart. Then with foam and fiberglass you can build solar panels for the sides and top. Fenders are replaced by the sides. The front and back and part of the sides are left open to the air so as to reduce cross winds from tipping the tricycle over. Each panel surface would operate separately, so as you rode around you would boost the voltage depending what sun power you are getting. We are born with ten fingers and eyes that see light in straight lines. From that we invent the Matrix which we call the Cartesian Coordinate System. But in reality nature never goes in straight lines... the real reality is like Magnetism and operates on a coordinate system that is very bizarre. Space is actually curved like a vortex back onto itself. * What if a motor were designed with a vortex like shape? Haven't posted for some time. There is a guy selling a demonstration kit that proves what Tesla was working on actually works. It's possible to do things like send electric power through the air like radio waves, but by using Scalar Waves (as Tesla did) you get very high efficiency. The reason Edison rejected the idea is there is no way to charge people to pay for the power drain. The profit motive killed what in fact is an idea that works. Magnetism is in a sense the "physical" expression of a field that emerges from a capacitor which is just a pair of differing charges. Why not build a motor with the "source" energy rather than the derived one? There are Ultracapacitors with 3000 Farads of charge (not to mention battery options) and each Farad equals a Coulomb per Volt. The raw forces are incredible. The idea would be to create a capacitor / solenoid type device which would use Coulomb's Law for attraction and that would be the "motor". You could oscillate energy back and forth between this capacitor / solenoid device and an actual Ultra capacitor if needed. Based on the numbers one Coulomb seems like enough force to drive a motor for one stroke very easily. The efficiency would be based on simple resistance in swapping energy back and forth between capacitors plus mechanical and friction losses. 9 Trillion Newtons at a meters distance !!! Actually within Ultracapacitors the problem is typically that the forces get too big and so they keep the voltage low to try to tame it. If the motor is designed to handle the forces correctly you could eliminate "magnetic based motors" and make a motor based entirely on Coulomb's Law. There's probably a technical reason this can't work, but you never know. The idea would be to develop a charge across the rotor and have opposing sides behave like capacitors. The overall circuit loops outside. The use of carbon (graphene) is known to radically increase charge carrying ability. The idea would be to have three phases and six plates which would be connected across the middle but isolated from each other. Graphene would be used to increase charge capacity. ...someone in the patent office decided April 1 was a good time stamp. This makes me recall the idea of a carbon fiber wheel which would be modified with either steel or magnetic inserts. You could get a very light weight set of "wheel capacitors" to drive with a matching capacitor on the frame. Electrostatic means "static electricity" which means very high volts, but extremely low amps. 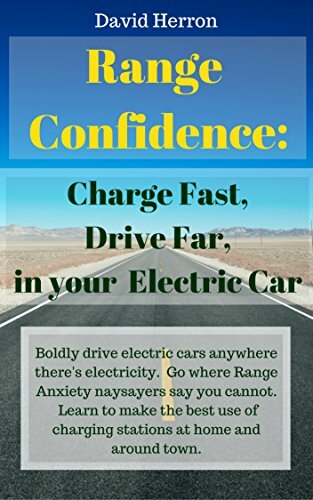 Like an electric fence this will give a shock, but if very little amperage is involved it will not kill you. It's also like a stun gun. I'm also wondering if parallel plates are better or worse here. Seems that point charges concentrate the forces and plates just dilute it so the previous motor uses cylinders and I can see why. A different design than flat might be preferred. This uses the "force between parallel plates" formula. Coulomb's Law is for point sources. What did we learn from Tesla? Well, he was trying to conquer the vacuum of free space with it's high insulating nature. The brute force method of high voltage is unworkable. But high frequency combined with resonance can open up a channel for electrical permittivity. The idea would be to build a carbon fiber wheel with varying conductive properties and then through control of high frequency resonance get electricity to flow back and forth across it. This would make it so all the energy would be limited to this tunneling effect. The "Scalar Wave Motor" so to speak. Obviously this is no easy technical thing to do but it's within the hobbyists limitations to try it. It's fun to go back and look at the numbers and figure out what Tesla was up to. What this does though is once you achieve transmission for one "step" (as one millimeter) you effectively achieve it for infinite length. Each wavelength along the way conducts the electrical charge but if the amps are low and voltage high it transfers huge amounts of energy without arching. Air has no "resistance" to a capacitor type electrical wave... which is itself a bad name (wave) because in reality it's more like compression / rarefaction in a longitudinal direction, but "scalar wave" seems to be the label most can recognize. The bizarre thing is a true "Tesla Scalar Wave" motor could have it's energy sent to it remotely... like from miles away. How about an ebike where your energy source is at home in the garage? So the math kind of changes the whole mindset... very bizarre. Permittivity is the ability for a vacuum to in a sense "act like a capacitor" (Farads per Meter) and it's very, very low at 8.85x10^-14 Farads per Meter but once you crank the frequency and voltage high enough you sort of break free of all restrictions. Very profound stuff... I'd advise people to play with the numbers. Such a motor could simply have coils embedded into the carbon fiber wheel and very sophisticated circuitry would act like a receiver and "pick up" the scalar longitudinal wave and exploit it when needed to activate the coil in order to do work. Once the coil passes a magnet (as an example) it could shut off and wait (or charge up) until the next revolution of the wheel and do it all over again. It becomes rather surreal because you could have power anywhere. This all got me to thinking... "Could the vacuum be a battery?" Well yes, it does hold a charge and assuming you used a resonance that was high enough between two parallel plates you could get a bigger charge. I'm not sure if as a resonance it would behave like a series capacitor or whether it would be additive and I took the more optimistic view and it's STILL not very good. Even at One Million Volts the overall energy storage for a "Resonance Capacitor" the size of a one meter cube is below that of existing batteries even at microwave frequencies. The bottom line is you don't want to store energy in a vacuum, but the transmission of energy in a vacuum does make sense. Note: 300 GHz switching really only became technically possible in the last decade or so as far as transistors and the like. So being able to seriously consider these ideas as technical projects is pretty recent using silicon based technology. Was looking into different and more exotic types of controller designs. The standard Buck and Boost designs are good, but the Boost seems to be difficult to adapt well to the ebike situation in one step. Buck-Boost could work, but it's not using the inductor to it's full potential. A "Push Pull Buck Converter" drives a (toroidal) inductor to it's extreme limits and actually delivers more power on the output. Since our output goes to our ebike motor (I'm thinking brushed since that's my old ebike... back in storage) the motor itself smooths the output so we really shouldn't care about ripple too much. Any ripple would get sucked into the motor coils on a brushed motor. If the primary winding has 20 turns and the secondary has 100 turns then that's a step up of a factor of five. Your 12 volt battery now "runs" like it were 60 volts. Control would be with standard PWM with the MOSFETS designed to run inverted to each other. Power output (it seems to me) looks to be "self limiting" because as an isolated power supply all power is transferred through the large inductor. By knowing the saturation limits of that inductor you should know what your maximum power output would be. ...so just like any Buck controller this should produce the typical power curve. If you wanted to introduce current limiting that would be an added step, for example if you built it to drive 2500 watts at high rpm and only 500 watts at low rpm in order to protect against overheating. The Push Pull Buck Boosting converter has two control signals that can be seen as like music going through two speakers. There are Bluetooth speaker driving circuits that are really cheap that could do this. You then write a software program to drive the MOSFETS. My guess is that a true sine wave would reduce current peaks and would improve efficiency and reduce heat. This would allow more sophistication in control with less circuitry. An Android phone would control it and could give visual feedback acting like an oscilloscope. "Actual" output voltage would be a nice feature in order to compare it to the "Expected" but that would be an extra. This is some very basic transformer knowledge, but it was necessary for me to go back and sort this out as far as how a voltage booster (that can also buck) might be designed. The first image is a simple "Positive Voltage Only" (10v) PWM transformer. Notice how the input and output are almost identical. See how the output gets shifted upwards? By changing the Ratio from 10:10 to 10:30 we significantly increase the inductance on the output side and that forces the period from 100 to 200 microseconds just in order to complete a cycle. If you do not increase this time period the inductor cannot reach full voltage. What we learn is that as the Ratio is increased it "Slows Down" the transformers ability to operate. Any control system needs to optimize based on this "Real World" inductance and not the default value of the physical object (like a toroid) and you also need to select the right size to begin with. Too much base value in inductance is actually not good because it will either slow down things too much or fail to maximize the inductor by not swinging to the extremes possible. So you would begin by identifying what kind of switching speed you can run at and then work backwards to ultimately discover what inductor size would be optimal to achieve it all while assuming a step up in Ratio in order to boost peak output voltage. Everything is the same except one signal is Square and the other is a Sine shape. But peak value is 60 volts for Square and only 30 volts for Sine. My "guess" is that it's the "rate of change" of inductor flux that actually determines the strength of the voltage. The sudden acceleration of the Square wave induces a bigger result. Kind of strange... must be a second derivative issue or "something". Okay... I think it might be making sense. The Sine Wave essentially removes the inductor as a significant problem. You can then use the big step up Ratio in the transformer coils without any distortion on the output. Whether you are at 100 Hz or 100 kHz the output is a simple Sine wave. I'm guessing overall efficiency is better too as peak current would be lower. When using a Bluetooth Audio Driver as your signal source you are then capable of creating in software anything you want and send it through the "speaker" channels. So Sine Wave control is actually a good idea for this. I'm still not sure if this simulator is actually working correctly. In all three they use the same circuit. The frequency is always 10 kHz. I can understand how a Square Wave might create odd behavior but a Trapezoid? Did I just find a bug in their software or am I missing something? It seems that the Pulse Wave ALWAYS creates a result that is double the Sine Wave and it's shape has no influence. They both can't be right... can they? First I inserted a very small capacitor to minimize the potential influence of the circuit. Next I started to lower the inductance of the transformer until I started to see a slight difference in the output. At that point I knew the circuit influence was minimized. Once I switched to the Pulse Wave signal it showed very similar output. This stuff gets very, very tricky really fast. The greatest thing about the internet and YouTube is the ability to hear a lifetime of wisdom in about ten minutes. This guy covers what is the state of the art in design right now. Inductors are getting smaller and frequencies are going higher. Isolated circuits are back in style.